20/20 Engineering has extensive experience with Industrial Automation completing over fifty projects ranging from simple manual jigs and fixtures to fully automated robotic cells. 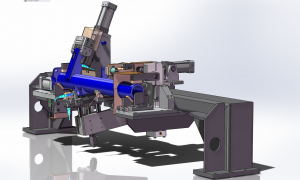 Mastering a wide range of engineering tools combined with the exposure to various industries across different markets enables us to deliver our customers with cutting edge technologies and innovative designs. 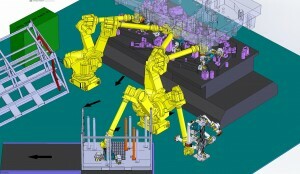 End-Of-Arm-Tooling (EOAT) for robotic material handling including press tending, welding, packing and stacking.